Before GPS, before the compass, and even before cartography, humankind was navigating. Now this singular guide helps us rediscover what our ancestors long understood—that a windswept tree, the depth of a puddle, or a trill of birdsong can help us find our way, if we know what to look and listen for. Adventurer and navigation expert Tristan Gooley unlocks the directional clues hidden in the sun, moon, stars, clouds, weather patterns, lengthening shadows, changing tides, plant growth, and the habits of wildlife. 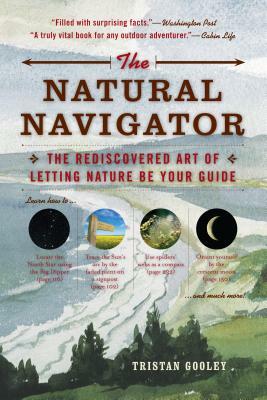 Rich with navigational anecdotes collected across ages, continents, and cultures, The Natural Navigator will help keep you on course and open your eyes to the wonders, large and small, of the natural world. Through his teaching and writing, Tristan Gooley has pioneered a renaissance in the rare art of natural navigation. He has led expeditions on five continents, climbed mountains in three, and studied the methods of tribal peoples in some of the remotest regions on Earth. He is the only living person to have both flown and sailed solo across the Atlantic.